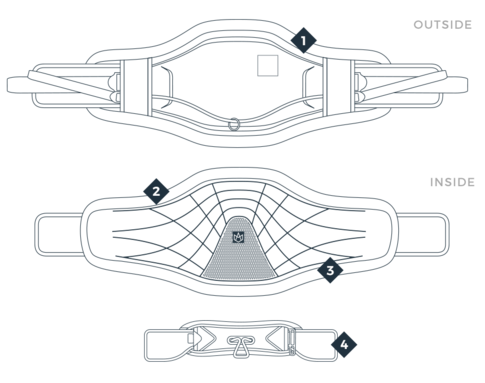 The UNION utilises advanced manufacturing processes, allowing it to be far lighter than other harnesses on the market. It is based on the EXO’s core principal of load dispersion and offers extreme comfort, reliability, durability and unrivalled weight characteristics. 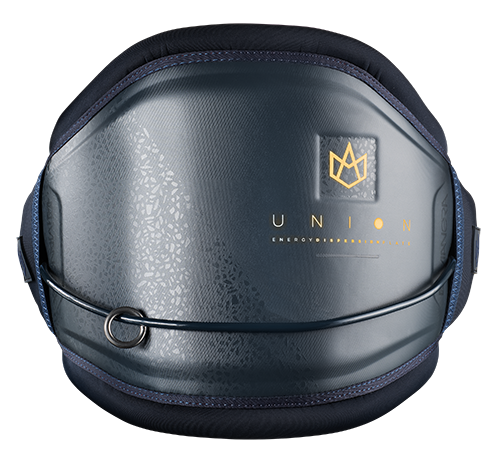 Ride with the UNION today and get the ultimate in support from a lightweight harness. The UNION integrates the plate inside the harness and it is directly connected to the spreader bar to ensure it takes 100% of the load from the kite. This creates unrivalled comfort by dispersing the pressure around your back. Weighing in at just 1.1 kilos (medium size, no spreader bar) you’ll want to be careful this harness doesn’t blow away on a windy day! The EDFComfort is paramount in any harness; the UNION uses a single injection mould to make a one-piece foam backing. This makes it exceedingly durable, as there are less parts to be glued or stitched together. It absorbs far less water and is much lighter than the multiple foam layups used in some harnesses. The Energy Dispersion Plate works in the same way as the ground-breaking Energy Dispersion Frame that we pioneered four years ago. The UNION integrates the plate inside the harness and it is directly connected to the spreader bar to ensure it takes 100% of the load from the kite. Kapcsolódó linkek "UNION 2019 deréktrapéz"
Vásárlói értékelés "UNION 2019 deréktrapéz"